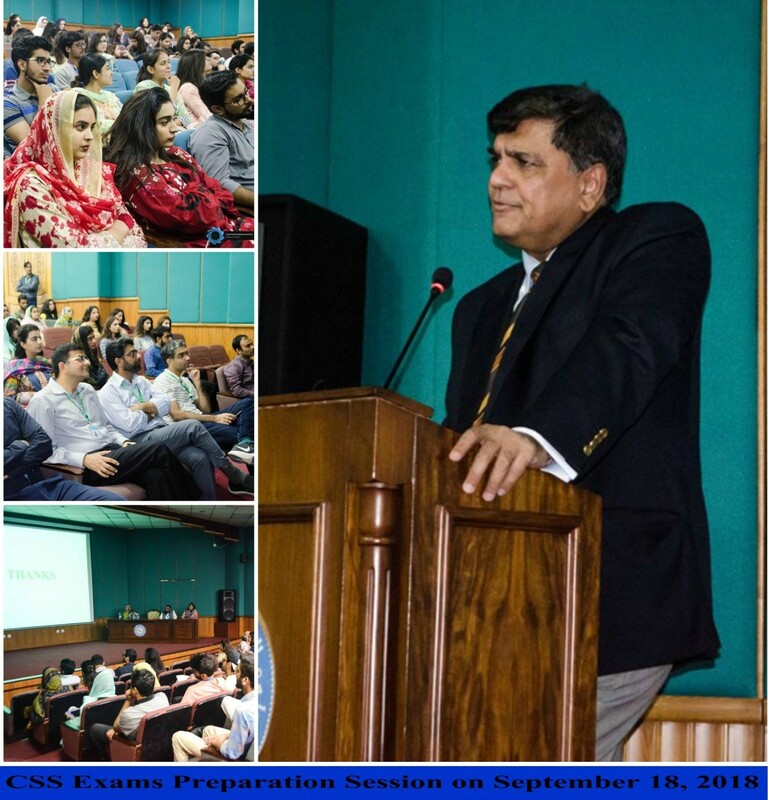 Career Services Office (CSO) Islamabad Campus organized session on CSS Exams Preparation for all the degree program students/graduates and young faculty on September 18, 2018 from 2:00 PM – 3:30 PM. Mr. Ahmad Farooq (Member, FPSC and Member, BoG FAST) delivered the subject session. The purpose of this session was to provide the guidelines to audience about CSS Exams preparation and reasons for the low rate of qualifying candidates for FPSC exams. 200+ Students, 20+ graduates from all the degree programs and HoD from three departments along with 10 faculty members attended the session. At the end of the session guest speaker answered different questions of the audience.